Online Job Board with a unique approach to blend non-disabled with disabled recruitment. 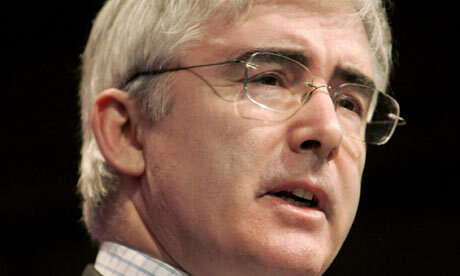 Outrage After Lord Freud’s Comments on Minimum Wage for People With Disabilities. Public outcry after Lord Freud comments that some people with disabilities could earn just £2 an hour. Lord Freud has been challenged and met with mass outrage after David Milliband confronted him over comments he had made last month at a Conservative party fringe event. He stated that there is a small group that are “not worth” being paid the minimum wage, and that some people could be paid as little as £2 an hour. These remarks have since resulted in calls from other parties for the politician to resign, and Prime Minister David Cameron calling on senior officials to ask him to apologise, as otherwise he risks losing his job. Lord Freud will not be present today in The House of Lords, and his current position within the government is in jeopardy. He was found to have said in a discussion; “Now, there is a small … there is a group, and I know exactly who you mean, where actually as you say they’re not worth the full wage and actually I’m going to go and think about that particular issue, whether there is something we can do nationally, and without distorting the whole thing, which actually if someone wants to work for £2 an hour, and it’s working can we actually …” The comments made were in reference to some companies being reluctant to hire people with disabilities for the minimum wage, and perhaps find a potential workaround. Here at Strike-Jobs, we have the tools to help those affected with a disability to find work quickly with specialised registration tools. Deputy Prime Minister Nick Clegg has, much like David Cameron, distanced himself from Lord Freud’s comments, but has stated on his LBC radio show that “That should not stop any of us having a discussion and, frankly, a difficult discussion – because some of these issues are difficult – to get more people with disabilities and with other disadvantages in life into the workplace.” But he still commented that, “I think what was so offensive to people about the remarks recorded at the Conservative Party Conference that Lord Freud made was when he used this word ‘worth’ and he said some people with disabilities were not worth the minimum wage. I think that is what has, quite rightly, touched a raw nerve because it’s making a comment about someone’s individual value.” What do you think would work, to both convince more employers to hire people with disabilities, and make sure they are given a fair wage? Currently, people with disabilities make up eighteen percent of the UK’s population, with 9.4 million people living in the UK currently being effected, and roughly 100,000 people with disabilities currently being paid the minimum wage, it’s apparent that many more jobs could be available for those with disabilities that need them, and it could be argued that Freud’s comments were said to try and help those with disabilities find work, albeit for considerably lower pay. It remains to be seen what will happen to Lord Freud, with his government position in jeopardy, calls from all parties to resign and outrage from disability groups. Here at www.Strike-Jobs.co.uk we are very passionate about helping those with disabilities find work with registration tools designed to make signing up as easy as possible. But what do you think? Are these comments taken out of context, or is it time for Lord Freud to resign? Leave your comments below.